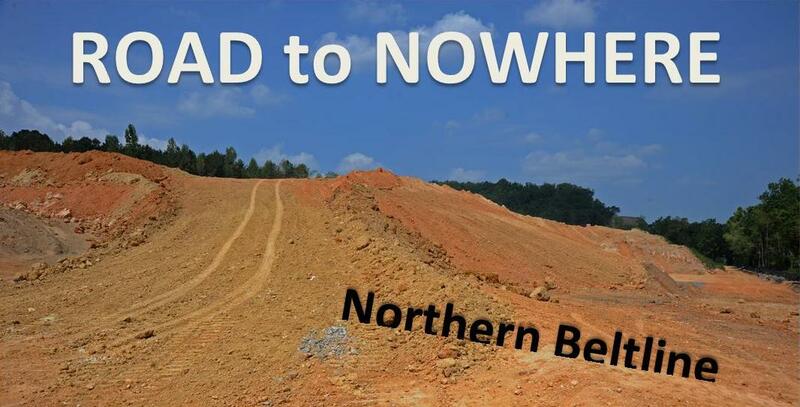 The Northern Beltline is a proposed 52-mile, highway arcing through northern and western Jefferson County around Birmingham, with an intended purpose of opening up areas for development. The proposed route is the longest, costliest ($5.342 Billion = $102.7 Million per mile), and most environmentally destructive (considering negative impacts to at least 90 streams & 35 wetlands in the Black Warrior and Cahaba river basins, including 2 major sources of drinking water) of the 7 routes originally considered. At such a massive price tag, the problem is that this road is not guaranteed to produce economic growth, and it does not serve an equitable transportation function. The Beltline fails to connect with I-459 near Trussville, it fails to help alleviate growing traffic problems in the greater Birmingham area (only 1-3% of downtown’s congestion will be affected and traffic will increase on I-59 near Trussville), and it fails to curtail truck traffic passing through Birmingham on Corridor X (I-22), I-20/59, & I-65. The greater Birmingham region has already prioritized 35 transportation projects ahead of the Beltline, yet the Alabama Department of Transportation and the Birmingham Business Alliance are prioritizing building the Beltline first, effectively putting costly fixes to Hwy. 280, I-65, and elevated I-20/59 on hold. According to the most recent regional Transportation Improvement Plan – over the next 25 years the Beltline will receive 55% of all funds made available for building and widening roads in the six counties throughout the greater Birmingham area.